In 1948 the National Association for Stock Car Racing was founded and held its first stock car race at Charlotte Speedway in North Carolina. Today this spectator sport has a global fan base and has expanded to over 1,200 races at over 100 tracks across North America per year. It is known widely as Nascar and has become a multi- billion dollar industry for racing enthusiasts who love to watch race cars and trucks whip around a track at lightning speed. Nascar’s Sprint Cup Series schedule for 2015 kicked off on February 14th and will run until November with the Championship Round. It is a very expensive hobby so not everyone can easily join Nascar. Also, as tragic as it may sound the wrecks seem to give the spectators a jolt of adrenaline. Thanks to Second Life you can easily join the race without worrying about experience, going broke, being sent to the ER or worse. 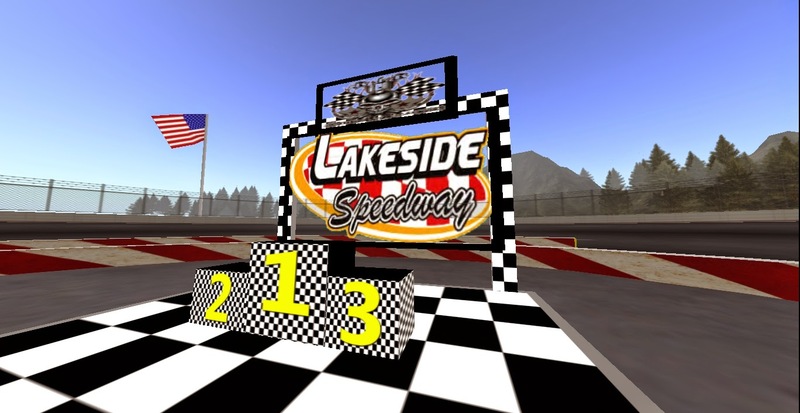 In Second Life R.I.R Raceway Stock Car Racing Venue is the most realistic racing venue in Second Life that caters to beginners, advanced and pro class racing fans who have a need for speed and want to sit behind the wheel of their own racecar. Founded in Owned and operated by badguy Boozehound and Co owner doobeedoo Littlething, together they host 5 weekly races. Winners receive Linden Trophies, points and bragging rights. The SL Enquirer contacted Badguy to learn more about racing in SL and how residents can join in the fun. 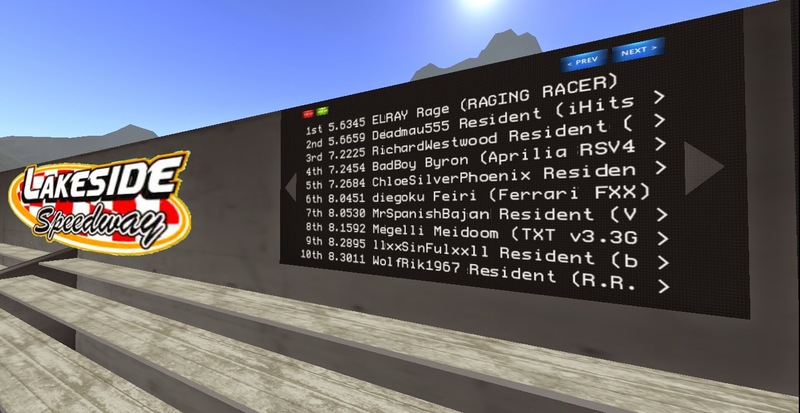 What brought you to Second Life and inspired you to create R.I.R Raceway? I originally came to Second Life looking for new chat spots as Skype was closing Shoutcasts. Then I found a speedway I loved the idea and fun involved in SL racing. Unfortunately the venue didn’t last long and closed leaving me with a racing bug and wanting to continue. That’s when we started building a basic track on a friend’s land and from there it expanded to where the raceway is now. Who is part of the R.I.R Staff and what are their roles? The Staff at R.I.R are just the 2 owners Myself and my wife Doobeedoo Littlething. We are Sponsored By Black Lagoon Grafx Shop. What type of services does R.I.R. 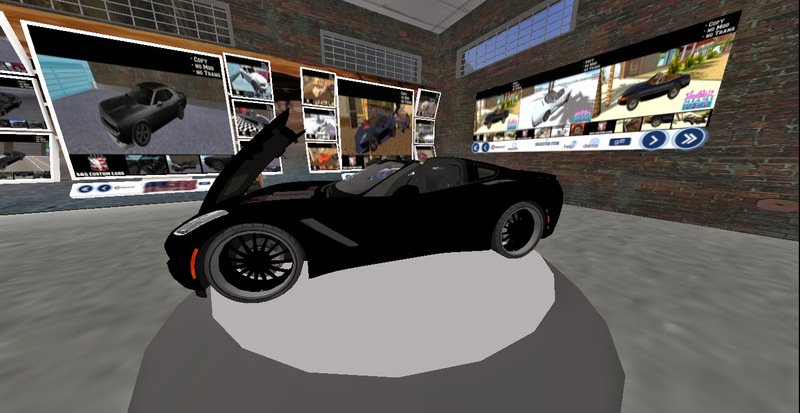 offer racing enthusiasts in Second Life? Is race training provided? There is a range of vehicles starting at a beginner class & working their way up the ranks to pro Sprint cup class. We don’t provide a training class but usually there is at least one racer practicing on the track. All are very friendly and always willing to help a new driver find their groove on the track. Also, there are free demo cars which can be used in races for all the new people who come. How can SLers get involved in the races, is there a membership requirement? Do you use an SL group that racers and fans can join for racing news and alerts? Yes, we do all Race video footage and race notices are posted there. Here is the link for the racing group for all the shin digs and events. R.I.R Raceway hosts 7 weekly races. How do the races work? Can you explain the process from starting line to handing out trophies to the winners? Yes, It is a fairly simple process for the drivers. The race director does most of the work. We start an hour before the race with an official practice session for 45 mins. When that time is up, the practice times are reset and a 15 minute open qualify begins. Drivers start positions are in the order of fastest time in qualify to least fastest time in qualify being the last driver on the grid. Being as we are on Second Life servers some of the small tracks and race gate systems won’t handle more than 10 drivers so, we may have to run heat race events to get to our top 10 drivers for the main event . These are two 5 lap races taking the pole sitter and 5 drivers from the two 5 lap races. The remaining drivers who have not made a main event ticket will be put out in what we call a consi race. This is the last chance to make the main event and the top 4 finishers get this ride to the money race. The rest of the grid will take 11th place and so on and be packing it up for the night and hoping for that big break on the next race day. Where can I get the most updated race schedule? The best place to get the most updated schedule is the main race shop in world on the wall in the office. Are there sponsorship programs for racers? If so how can SL companies get their logos slapped on a Pro Racers car? Many drivers are looking for race sponsors to help them with vehicle purchases so they can get some paint on their racecar. Many of them have found that special sponsor that gives them that opportunity. The best way is to show up on the race day and scout out the drivers during a practice and give them your proposal. When a race is not happening, can anyone visit the raceway and get on the track? Oh yes the tracks are open always for visitors to just come and enjoy doing laps in their own cars as well as the R.I.R Product line vehicles. We close down the track we race at that particular day an hour before race time for official race practice so all the drivers get 45 minutes of good drafting practice before qualifying begins. Do they need their own car or does the track provide rezzables to borrow? As stated you can run a demo car which is provided free. These cars are no modify and lack the love of paint making. Usually drivers want to get the full version and get creative with his race paint. These demo cars have the same scripting quality of the full version car but are no modify. 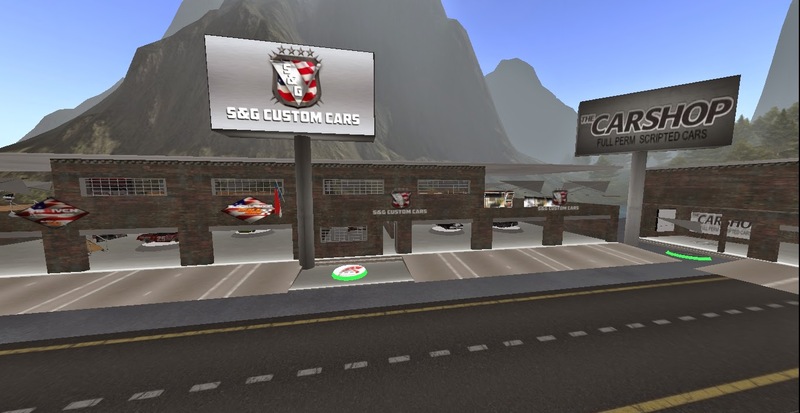 You have a car shop on the premises, is this where SLers can purchase cars? Yes the cars can be purchased in the main race shop located here on the main level. How can SLers order a custom racecar ? All the cars are the same to keep the race series controlled and monitored at all times. The class raced in that said day will all weigh the same and have same scripting but can be tuned via a dialog menu to adjust steering downforce wedge ect. We do have a custom painting booth as this is the only thing allowed to be modded on the car. All cars are equipped with big brother watching them at all times and will let the creator and the driver know the car is not in tech. Is there anything else you would like to share about R.I.R. Raceway? Just for some good hard racing come join the fun @ R.I.R Raceway. Preferred contact: Badguy Boozehound or Doobeedoo Littlething.